Plenty of inexpensive USB-C memory card adapters are now on the market. But would you consider spending about $50 for one? 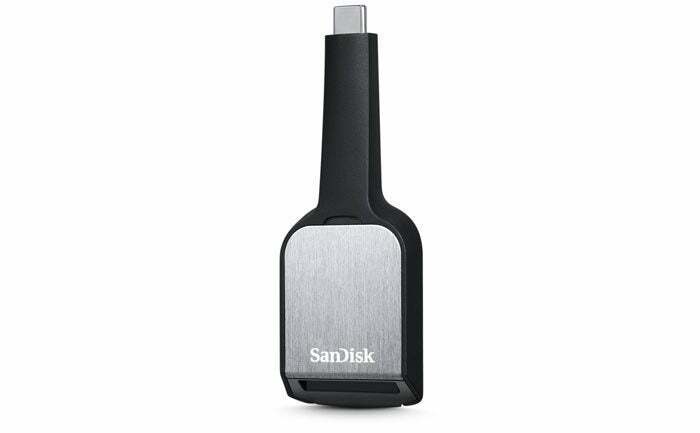 If it’s the SanDisk Extreme Pro UHS-II SD Card USB-C Reader ($47 on Amazon), the answer is yes. Why? Pure speed. Of the adapters we tested, the Extreme Pro UHS-II boasted the fastest transfer speeds for both photos and video files. Primarily that’s due to compatibility with UHS-II cards, but it also produced top speeds for UHS-I cards. If you absolutely need the quickest way to shuttle image and video files onto your MacBook Pro, this is the adapter to buy. 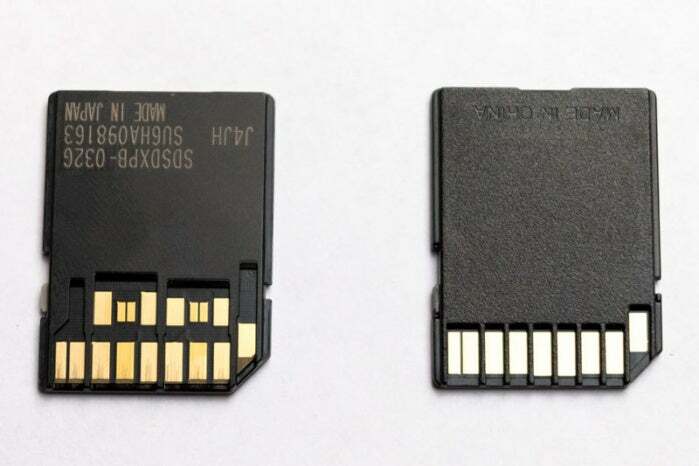 Most modern SD cards are designed with a UHS-I (Ultra High Speed) bus interface, which features a single row of pins over which data is transmitted up to a theoretical 104 MBps. UHS-II cards include a second row of pins, pushing the data throughput to a theoretical maximum of 312 MBps. The second row of pins on a UHS-II card (left) allows more data transfer. The SanDisk Extreme Pro adapter mostly achieves its high speeds because it includes the contacts to read that second row of data—but only with UHS-II cards. To test speeds, we loaded 12.9GB of JPEGs and raw files onto SD cards, and then copied them to a 2016 MacBook Pro using the Image Capture utility. We made three copy passes and averaged the results. When copying from a UHS-II card rated at 280 MBps, the transfer took an average of 66 seconds, or at a speed of about 195.5 MBps. UHS-II cards are still reasonably expensive compared to the nearly ubiquitous UHS-I cards, and not every camera can work with them. In testing the same transfer of 12.9GB of photos from an SD card rated at 95 MBps, the copy took an average of 2 minutes, 29 seconds, or 86.6 MBps. The video transfer was a brisk average copy of 5 minutes, 18 seconds, or 101 MBps. Those speeds were still the fastest of the adapters we tested, such as the Iogear USB-C 3-Slot Card Reader/Writer and the Cable Matters USB 3.1 Type-C Dual Slot Card Reader. The SanDisk Extreme Pro adapter holds just one SD card at a time, unlike other models that include SD, micro SD, or Compact Flash card slots. The slanted opening is stylish but at the expense of functionality. Sometimes it’s difficult to get a good grip on the card to remove it. However, a nice design touch is the USB-C plug itself, which is attached to a tapering, slightly flexible stalk that leaves enough room to plug in another USB-C cable or adapter in the adjoining USB-C slot on the MacBook Pro. If your primary consideration when copying images or video from SD cards is speed—and especially if you use UHS-II cards—the SanDisk Extreme Pro UHS-II SD Card USB-C Reader is worth the higher price.